Scientific Cosmology and International Orders shows how scientific ideas have transformed international politics since 1550. Allan argues that cosmological concepts arising from Western science made possible the shift from a sixteenth century order premised upon divine providence to the present order centred on economic growth. As states and other international associations used scientific ideas to solve problems, they slowly reconfigured ideas about how the world works, humanity's place in the universe, and the meaning of progress. 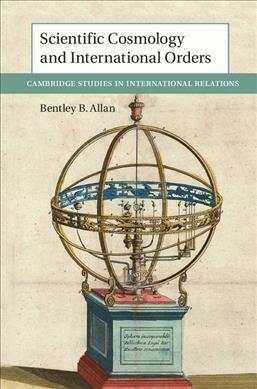 The book demonstrates the rise of scientific ideas across three cases: natural philosophy in balance of power politics, 1550–1815; geology and Darwinism in British colonial policy and international colonial orders, 1860–1950; and cybernetic-systems thinking and economics in the World Bank and American liberal order, 1945–2015. Together, the cases trace the emergence of economic growth as a central end of states from its origins in colonial doctrines of development and balance of power thinking about improvement.